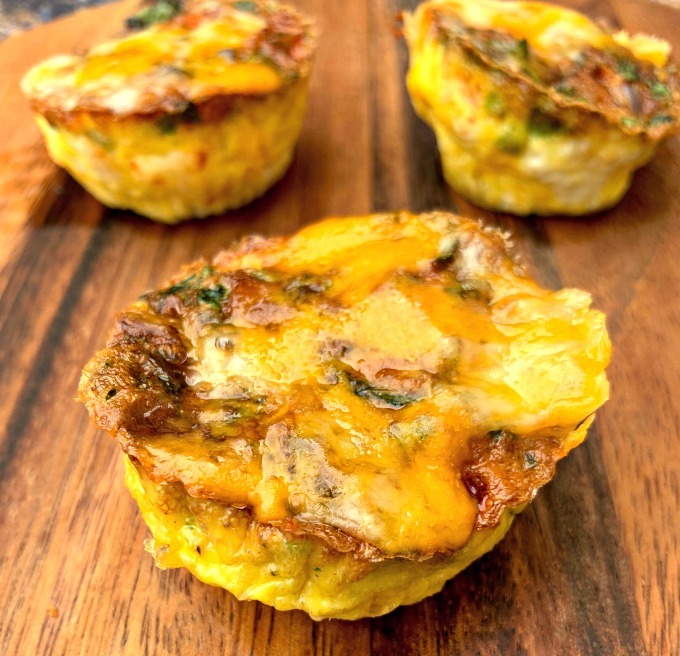 Air Fryer Bacon and Egg Bite Cups is a quick and easy healthy breakfast recipe similar to Starbucks sous vide egg bites. 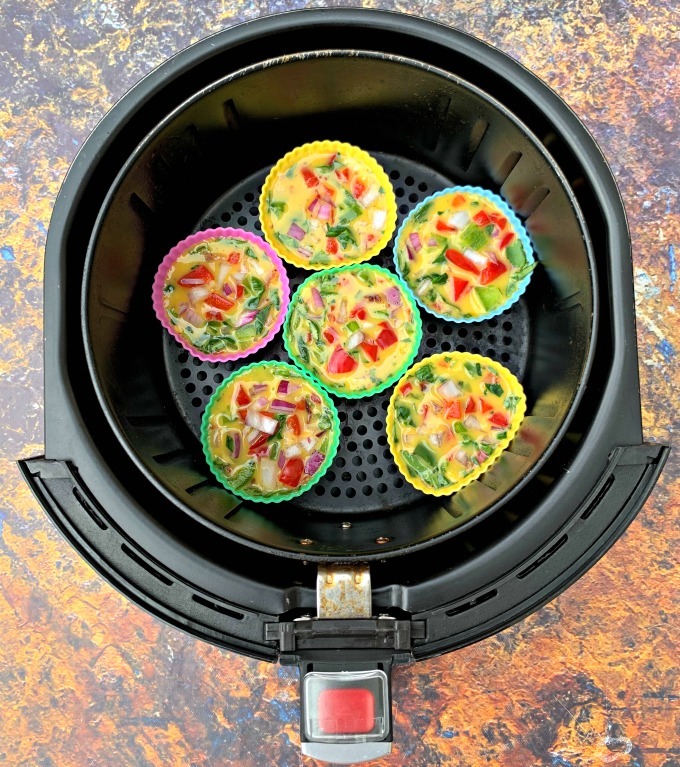 This low-carb and keto-friendly recipe shows how to cook eggs in the air fryer. 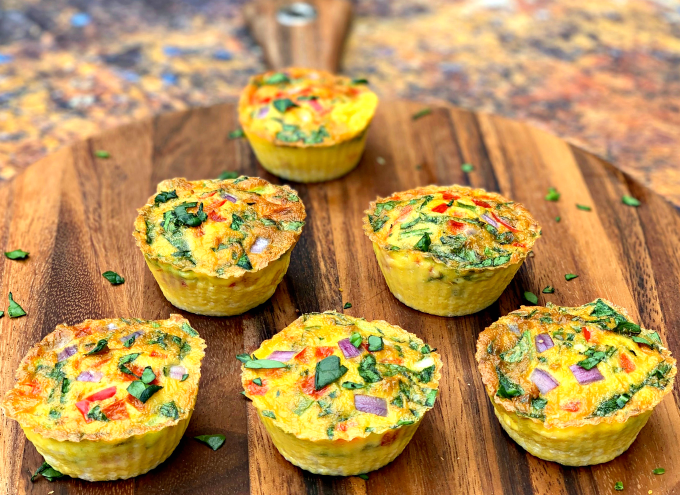 This recipe uses silicone egg bite molds and includes cook time. 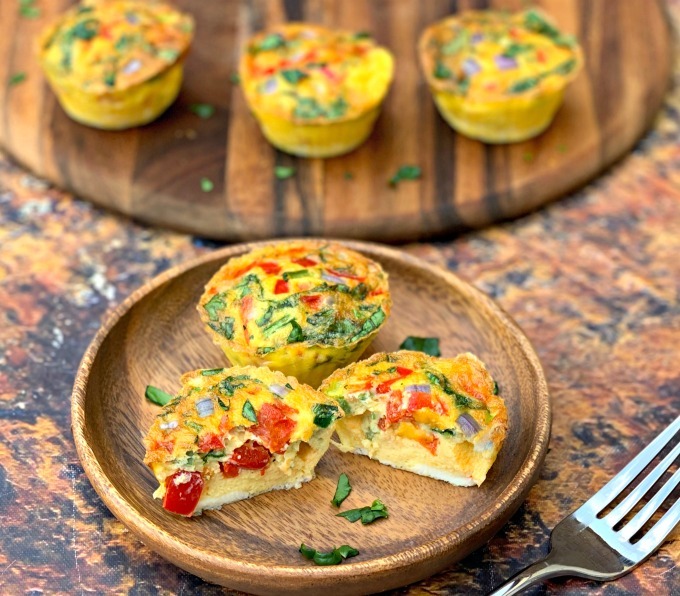 Make these egg muffins whenever you want to meal prep omelets, quiche, or frittata! How do you make eggs in the air fryer? There are so many ways. 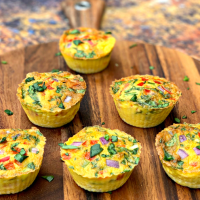 You can make Air Fryer Hard Boiled Eggs, AirFryer Frittata, and even these egg bite omelet cups. 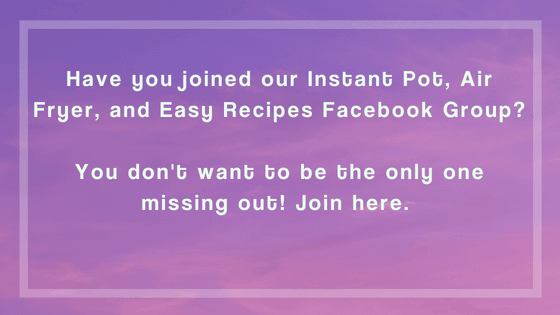 If you want to mirror the Starbucks sous vide egg bites, then check out my Instant Pot Starbucks Sous Vide Copycat Recipe. Gather those ingredients and throw it in the air fryer. The main difference is the use of a blender to alter the texture. If you don’t have an air fryer, I have Keto Bacon and Egg Cheese Egg Bites that can be made in the oven as well. 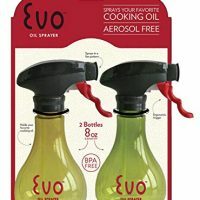 Can Egg Bites Molds Be Used in the Air Fryer? Absolutely. I prefer to use these silicone cups from Amazon. 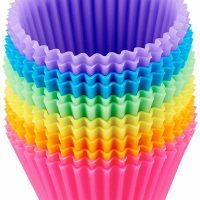 They can be used for baking as well! Gather your ingredients. 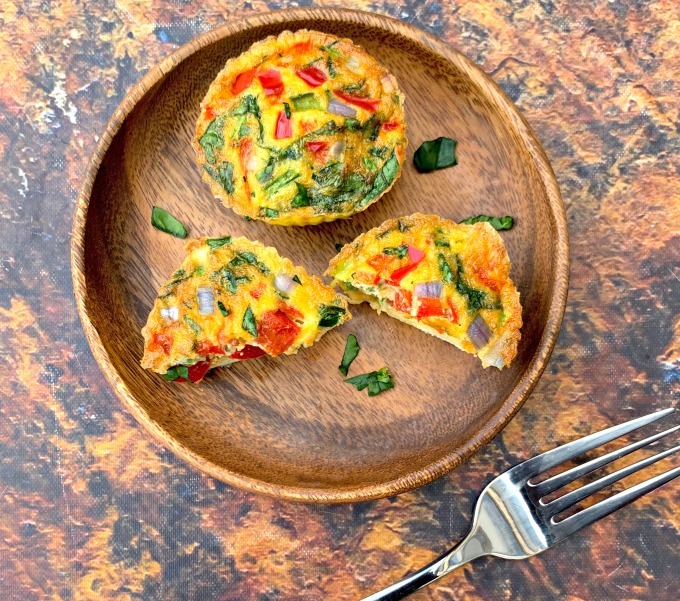 You will need eggs, seasoning, heavy whipping cream, chopped veggies, shredded cheese, and cooked bacon. Whisk all of the ingredients. 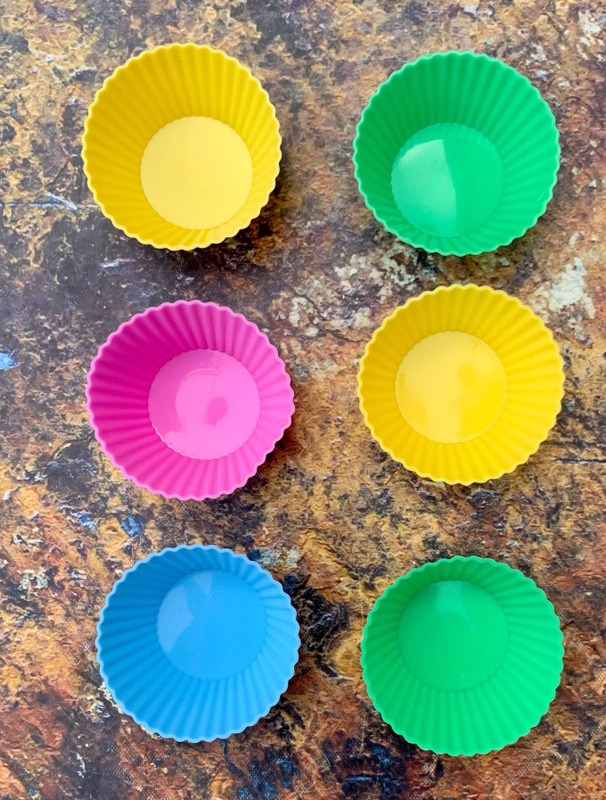 Pour the ingredients into silicone cups. What Temperature Is Used to Cook Air Fryer Egg Bites? I’ve tested this recipe at both 300 degrees and 350 degrees. I prefer to use 300 degrees. Using 350 degrees caused the eggs to brown much too quickly on top. 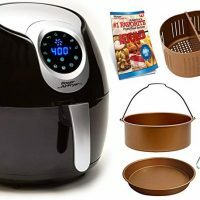 I have 2 air fryers (Power Air Fryer and Black +Decker) and both cook at different temperatures. My Power Air Fryer cooks at what I consider a more normal speed. The other cooks and browns much faster. Keep that in mind. Each air fryer brand is different. Monitor your eggs. How Long to Cook Egg Bites in Air Fryer? I cooked mine for about 12 minutes. I like for my eggs to only have a minimal amount of brown on the top. Right at 12 minutes, I inserted a toothpick and when it removed clean. 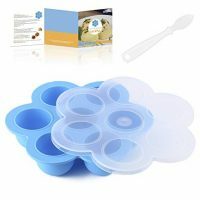 If silicone egg bite molds are used, the cook time should remain the same. 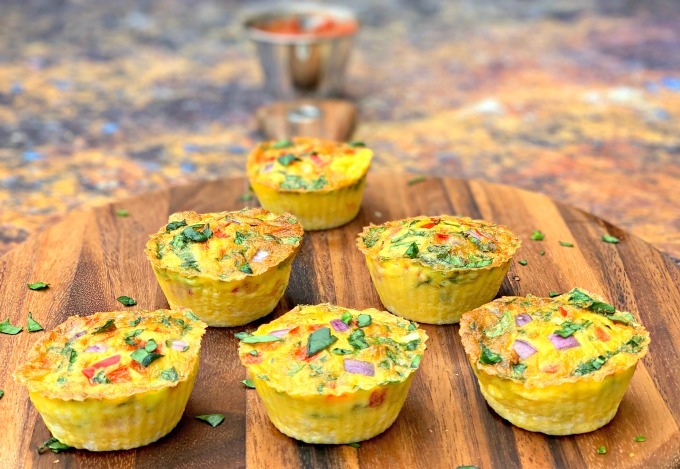 Are Air Fryer Egg Bite Cups Freezer Friendly? Absolutely. Wrap the eggs tightly. I prefer sealable freezer bags. The eggs will keep for 3-6 months. How Long Will the Egg Bites Keep in the Fridge? Store tightly sealed in the refrigerator for up to 4 days. Can You Substitute Any Ingredients in the Recipe? 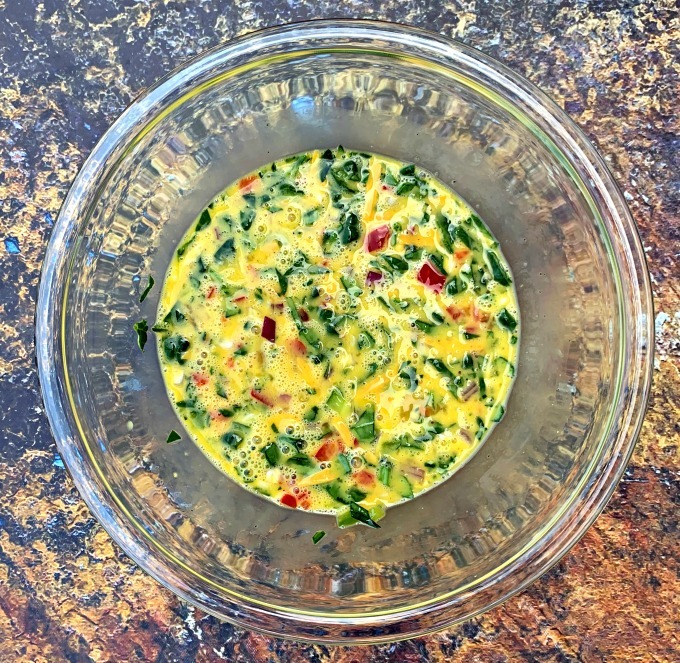 Yes, egg whites can be used in addition to any cooked meats, fresh veggies, or flavors of cheese you prefer. If you want the bites to have melted cheese, save the cheese and add it at the end. When the egg bite cups have cooked for 10 minutes, open the air fryer and add the cheese. Cook until the eggs are set and the cheese has melted. Prepared with melted cheese on top. Watch the video instructions below. Add in the cream, salt and pepper to taste. Whisk to combine. 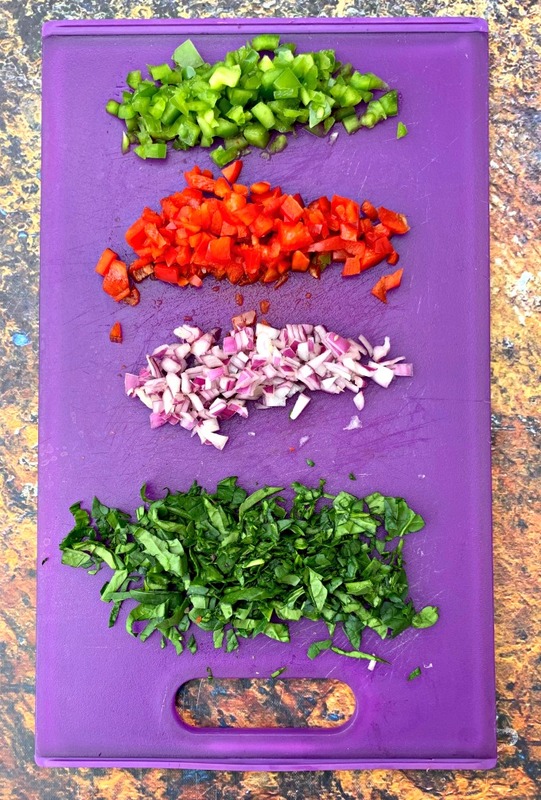 Sprinkle in the green peppers, red peppers, onions, spinach, cheeses, and bacon. I like to add only half of the ingredients here. I recommend you place the silicone molds in the air fryer before pouring in the egg mixture. This way you don’t have to move the filled cups. Pour the egg mixture into each of the silicone molds. I didn’t need to spray mine and they didn’t stick. If you have not used your molds yet, you may want to spray with cooking spray first to be sure. Sprinkle in the remaining half of all of the veggies. 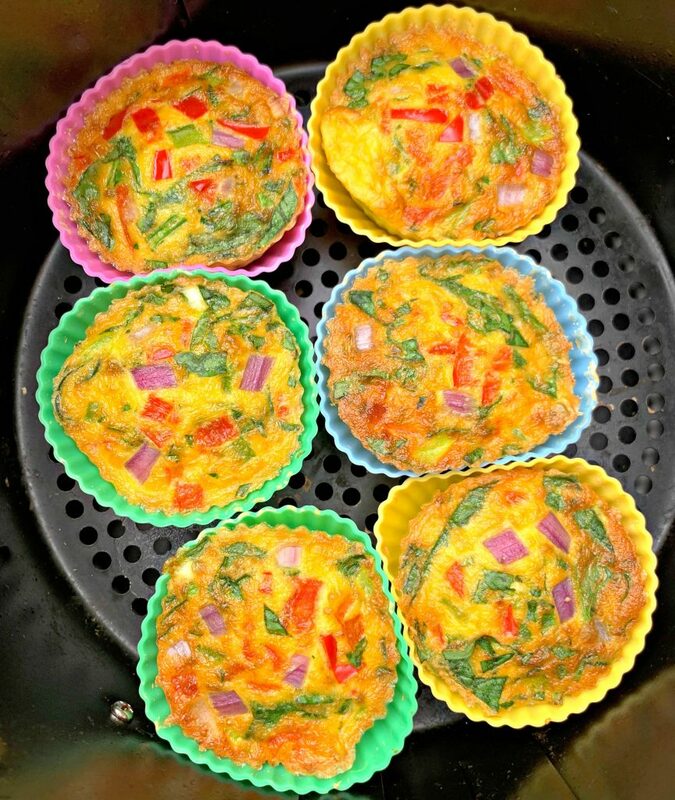 Cook the egg bites cups for 12-15 minutes on 300 degrees. You can test the center of one with a toothpick. When the toothpick comes out clean, the eggs have set. 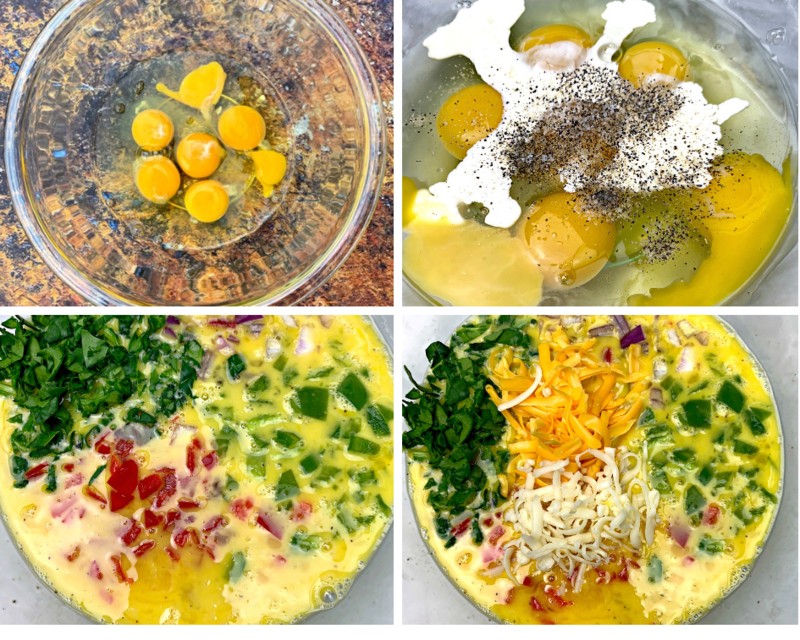 I like to add half of the veggies to the eggs and then the other half to the top of the egg molds because it helps bring color to the outside of the eggs once baked. This isn’t required. If you want your bites to have melted cheese on top, save the cheese and add it at the end. When the egg bite cups have cooked for 10 minutes, open the air fryer and add the cheese. Cook until the eggs are set and the cheese has melted. 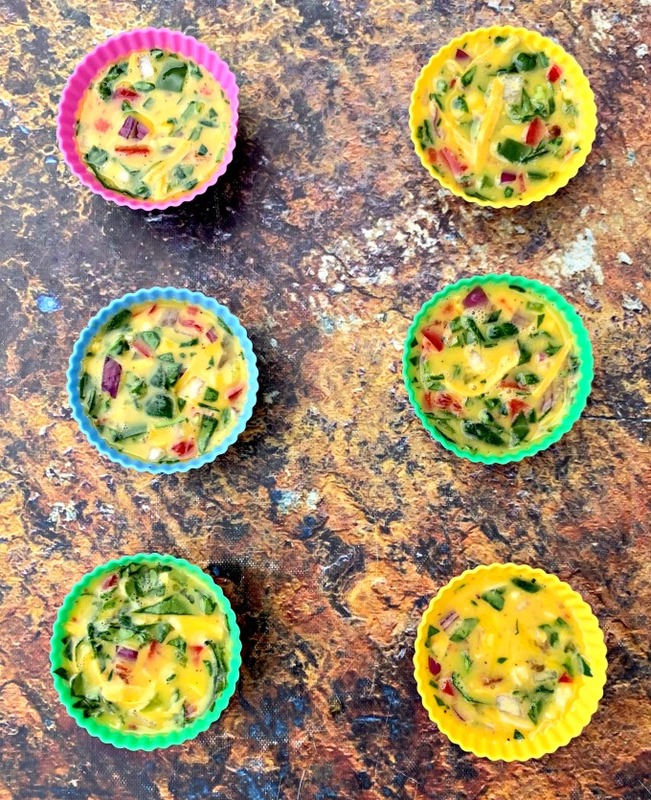 These egg bite cups are freezer friendly. 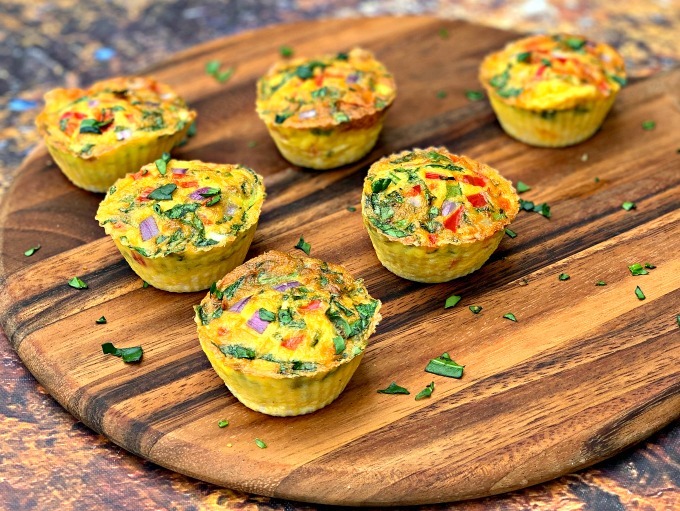 You can use the silicone baking cups or the silicone egg mold in this recipe. If you use the egg mold, I would not use the plastic cover. Store the bites tightly sealed in the refrigerator for up to 4 days. ﻿My Power Air Fryer cooks at what I consider a more normal speed. The other cooks and browns much faster. Keep that in mind. Each air fryer brand is different. Monitor your eggs. 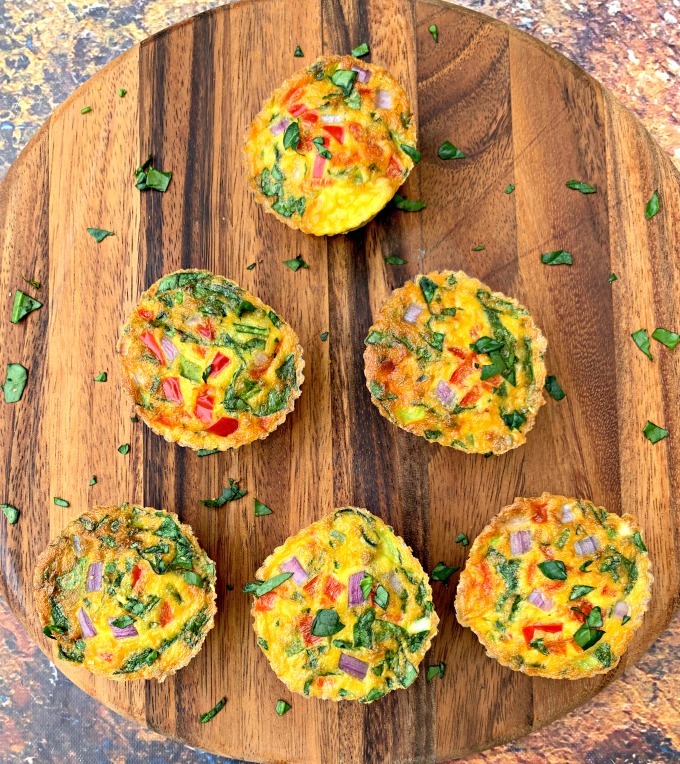 I love a tasty and quick breakfast and this one is definitely just that! These egg cups were devoured in my house, will definitely be making again!